This AHM Operating Accessory features tooling first introduced by Cox in 1975. The overhead crane and controller included a pair of 20-foot containers. 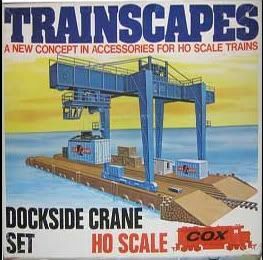 The crane accessory is new in 1981 and remains in the AHM line through its 1984 catalog.